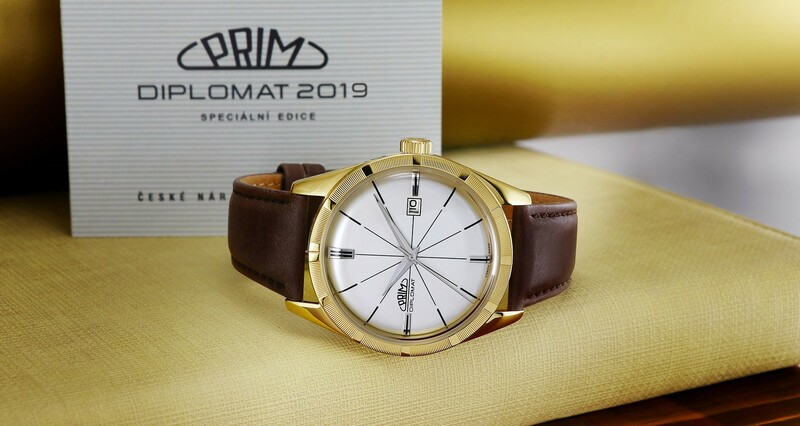 Family company and manufacturer of the Czech watches PRIM has created legendary and original edition of wrist watches PRIM Diplomat 2019 and with that followed the previously sold out editions from years 2002 and 2018. 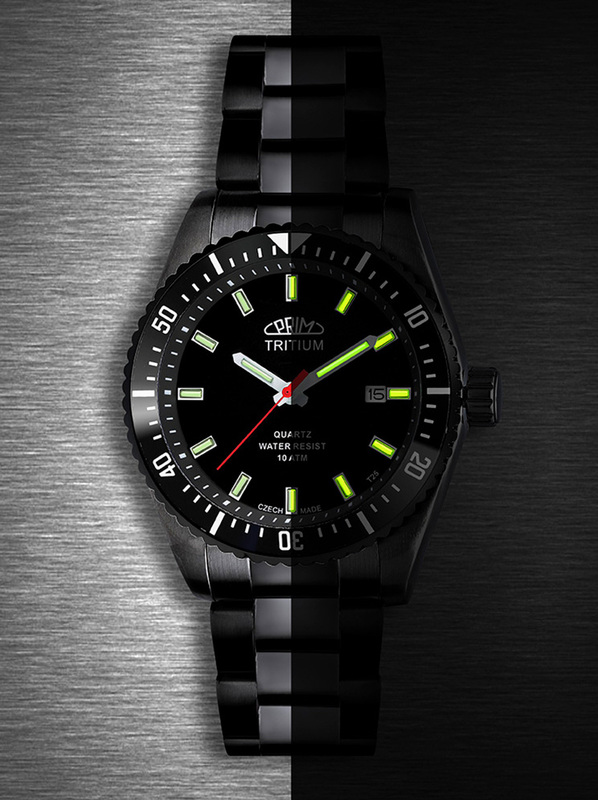 As all of our special editions PRIM, this one can also be distinguished by its exceptional elements. 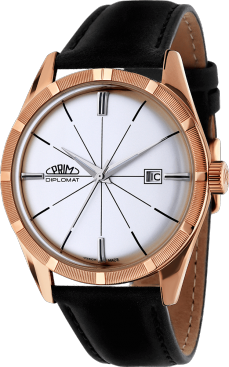 Watches inspired by the popular models made since 1960 by the national company Chronotechna. These watches are the combination of evening watches manufactured in the early 60s with legendary models such as Brussel, Diplomat or Elegant, creating a new design. A case of the watches PRIM Diplomat is made in accordance with the original documentation of watches from the national company Chronotechna from 1965 (the original labelling of the watches: 65 104 1, 65 105 3, 66 106 1, 66 107 3, 68 134 3, 68 149 1) with newly designed glass aperture. 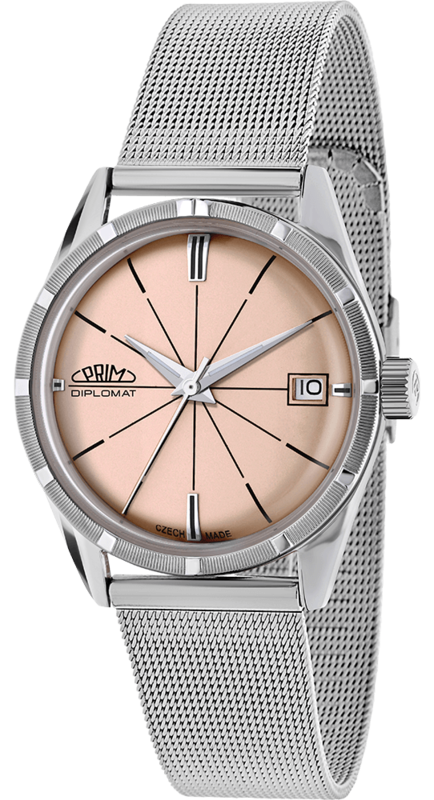 Designers’ and constructors’ goal was to create watches, which would both refer to the legendary evening models PRIM with new design and to maintain the combination of specific elements from the original evening watches from the years 1960 to 1968. 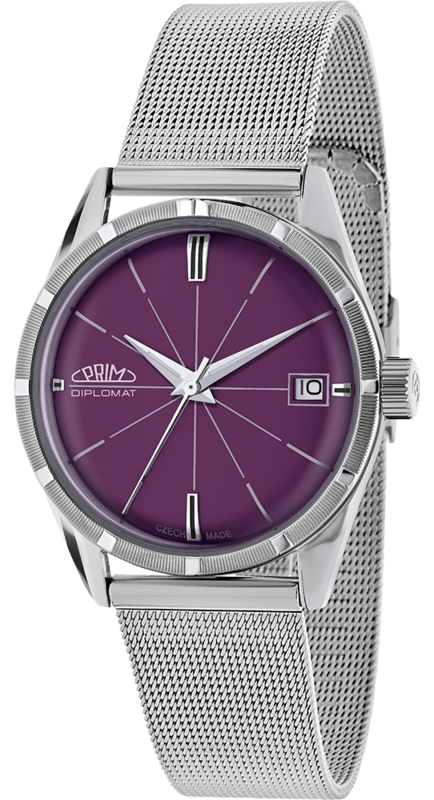 To emphasise the original character, the oldest and the most famous logo PRIM was used, which is in a “loaf shape” historically referring to the first evening watch PRIM. From the history of the evening watch and of Diplomat. 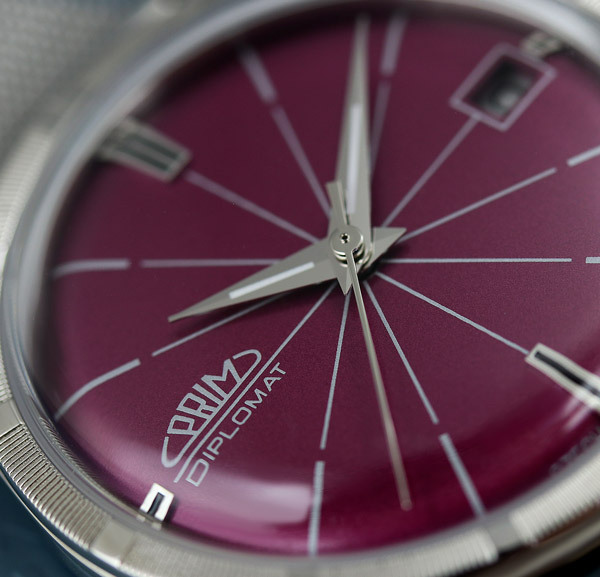 On the 30 June 1966, 15 pieces of prototypes were made and the expenses for the idea’s draft, drawings of prototypes and the actual prototypes, were 30 000 CZK. 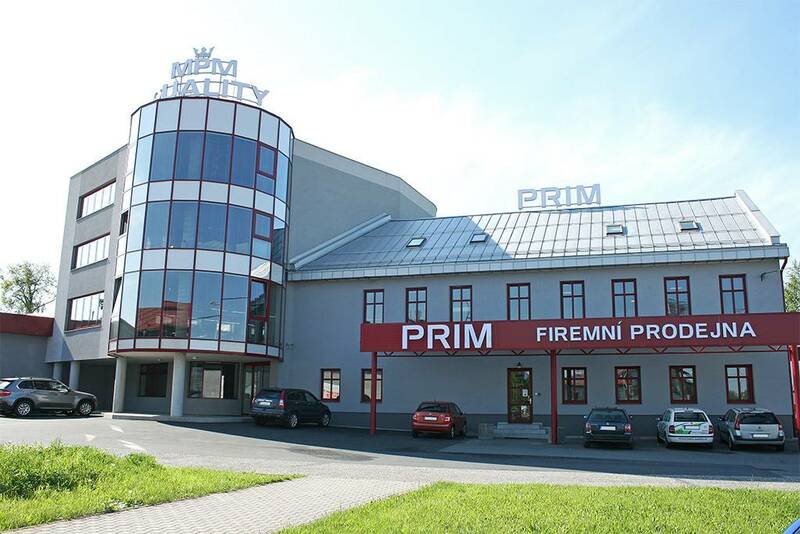 The introduction of the manufacturing of the watches PRIM Diplomat was, according to the director of the factory, desirable mainly for the enrichment of their portfolio and filling out a previous gap on a consumer’s market that was lacking a representational type of Czech watches. In 1967, first series of 3 000 pieces was to be made, in the following years, the manufacturing was to be 10 000 pieces. 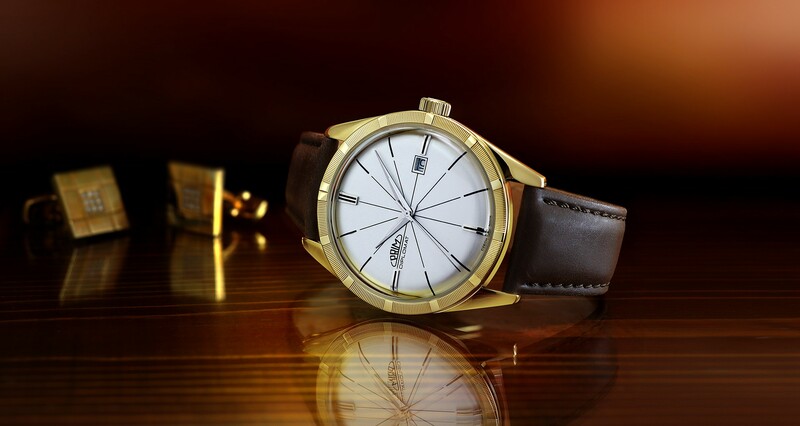 Previously, the goal was to make at least 10 000 to 200 000 pieces of the particular models of watches. 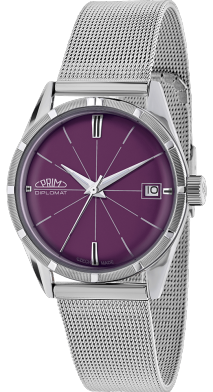 In the history, more that 16 million pieces of PRIM watches has been made and more than 3 million old retro PRIMs is still in circulation between collectors, pawnshops or various auctions. 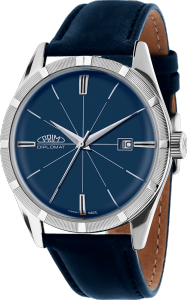 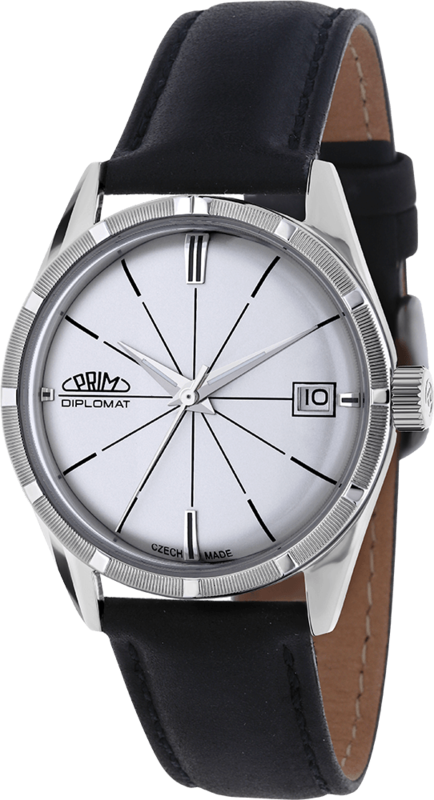 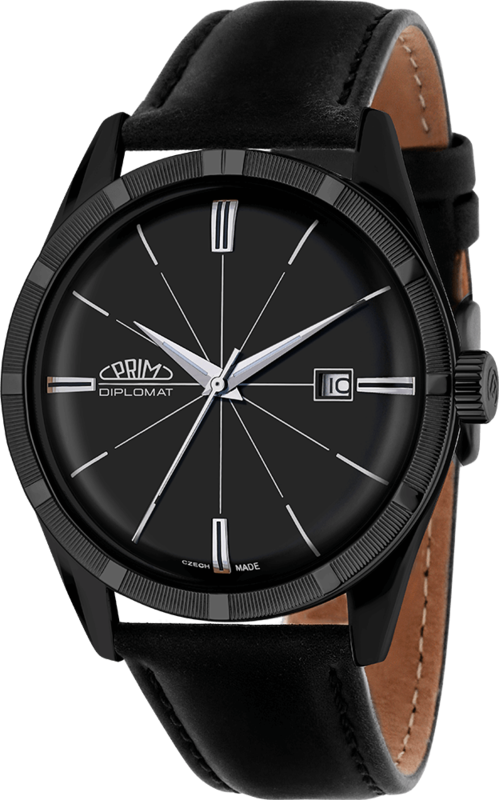 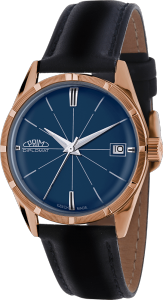 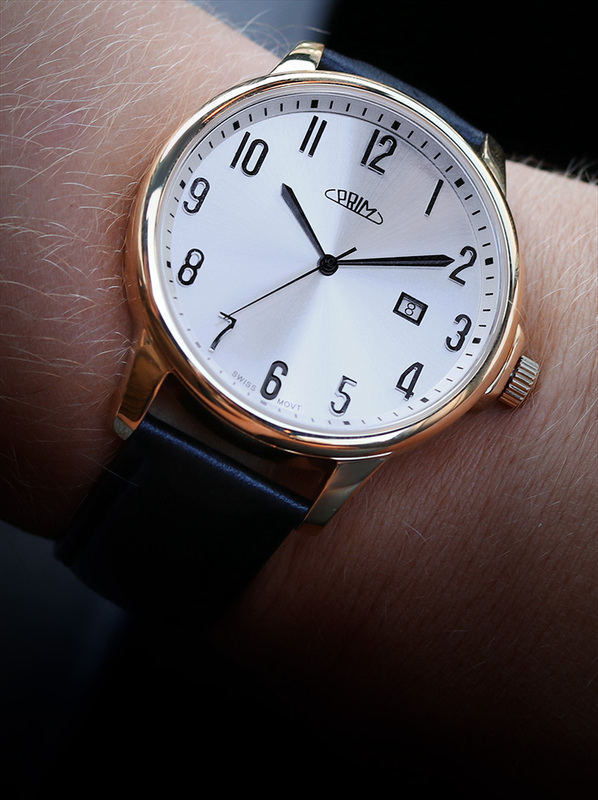 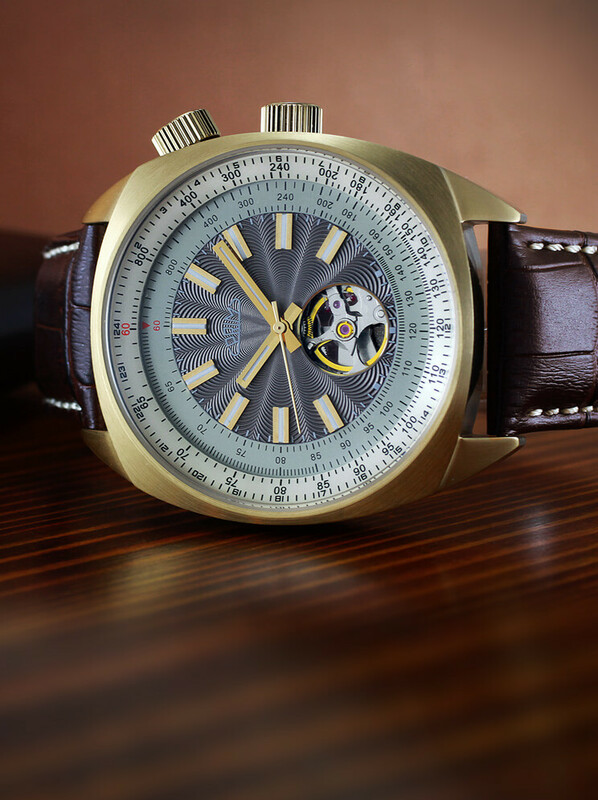 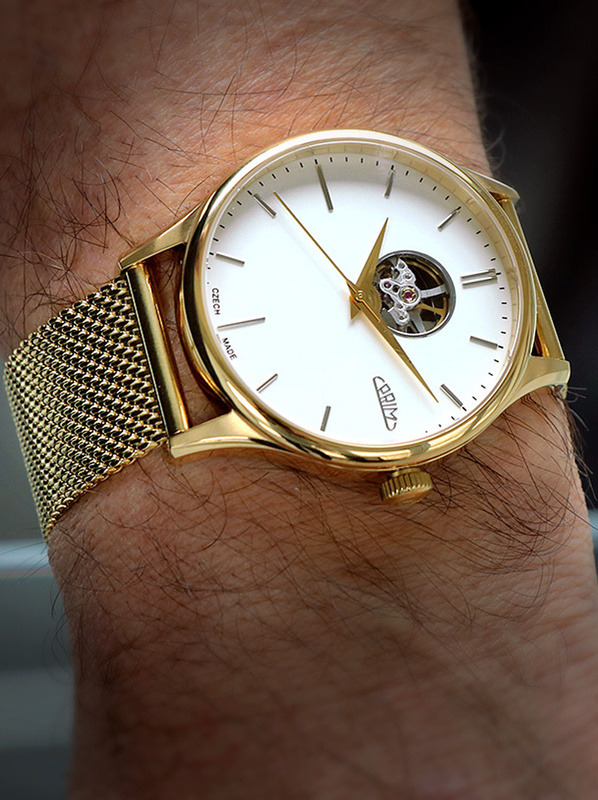 “PRIM Diplomat 2019 combines the Czechoslovakian classic from the 1960s in a new design. 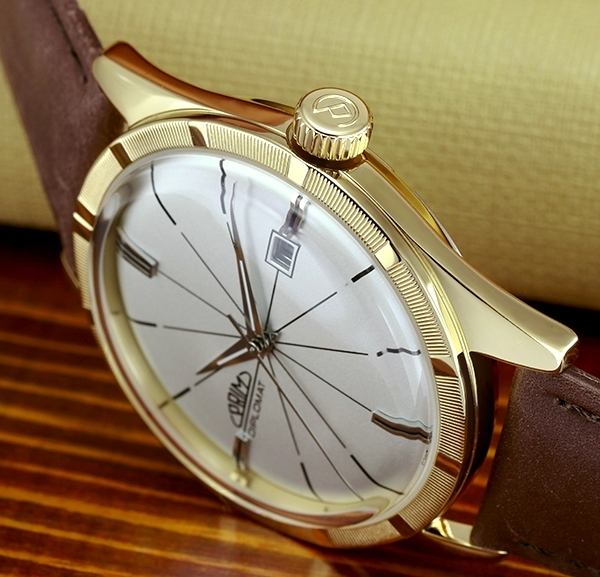 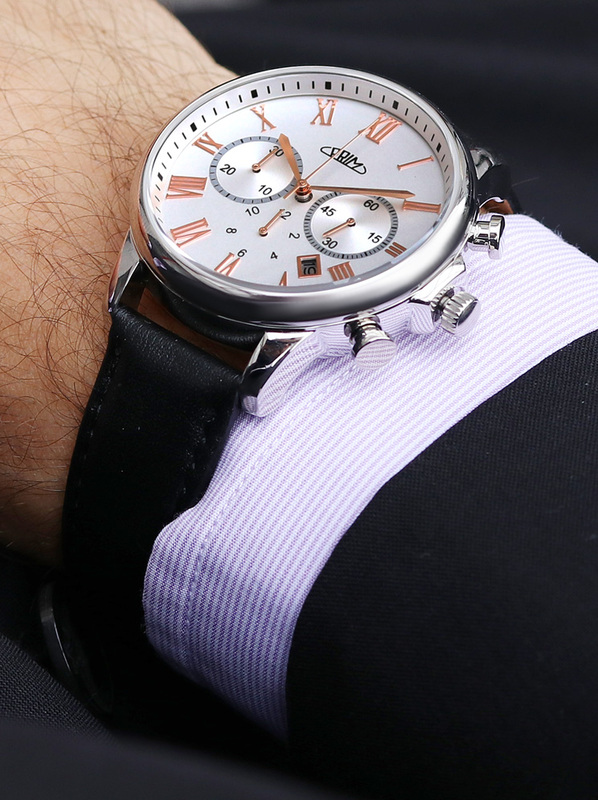 It is mainly classic, elegant and evening watches. 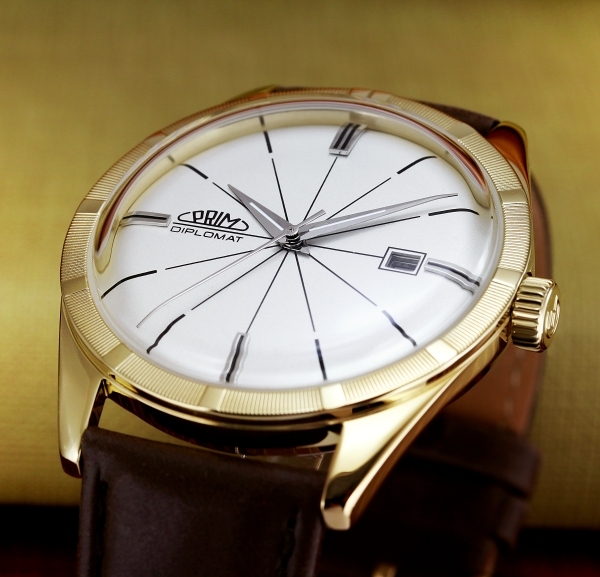 The asset of this model is an originally designed dial, which will be as interesting in 60 years as it is today. 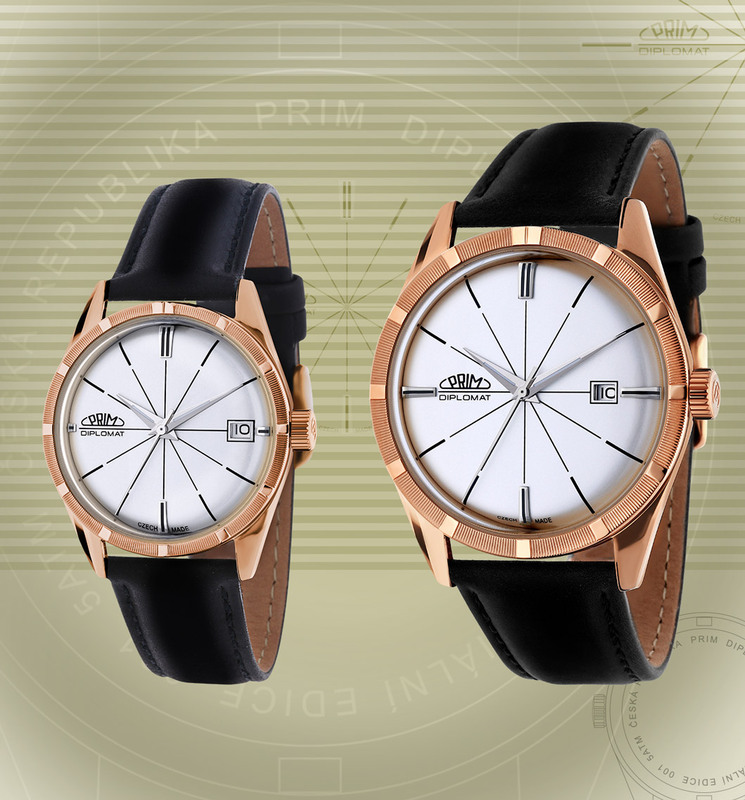 While creating it, our graphic studio was inspired by the legendary and ageless design of PRIM watches from the 1960s. A very elegant dial in many colourful variants was created, which will satisfy every demanding customer. Men’s model is available in 3 colourful variations with the watches’ case of 42 mm circumference, made of stainless steel 316L. The primary element is the original dial in an elegant varnished design with innovative “spider-web” motif created by the graphic studio MPM. 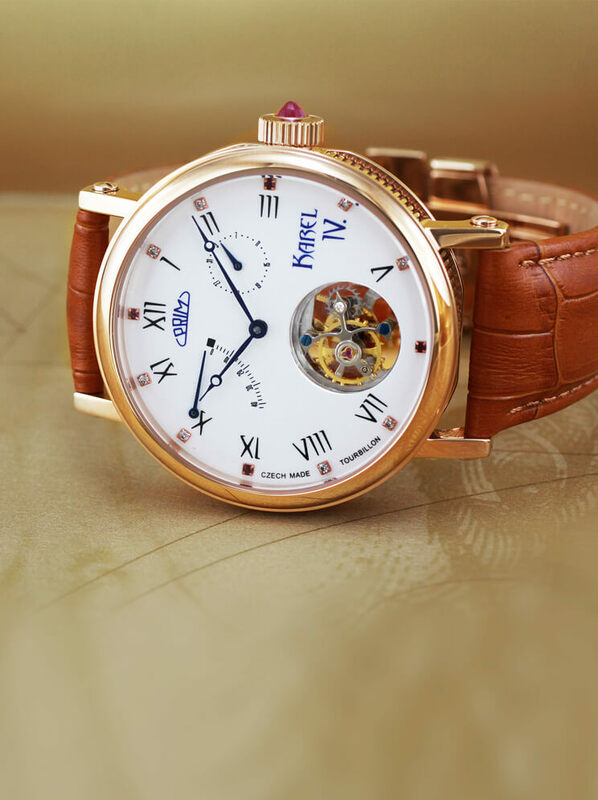 One of the new elements are protrusive indexes on the 3rd, 6th, 9th and 12th positions and also newly designed hands with luminescent layer. 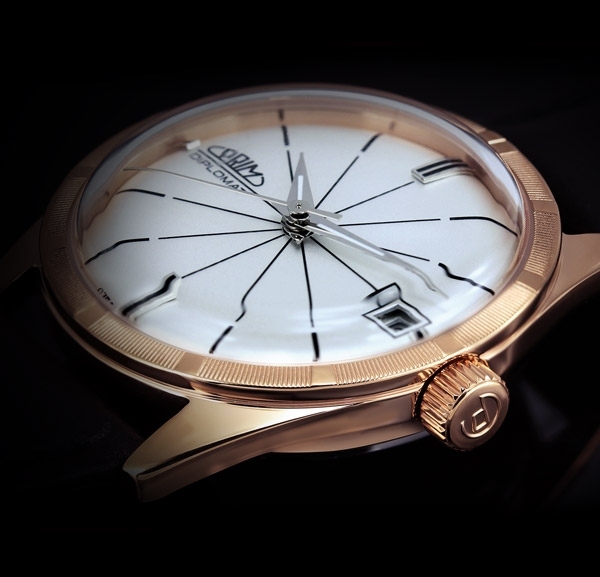 The shape of the raised glass has remained, however, the actual glass is made of a hardened resistant mineral. 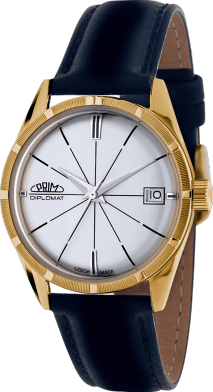 The watches have of course a moulted crown supplemented by the original symbol of the brand PRIM – letter P, which is connected by a circular arc representing the flow of time. 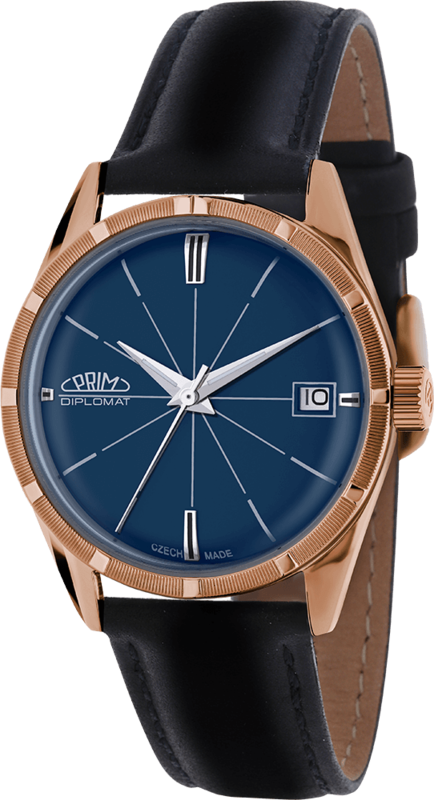 Model PRIM Diplomat 2019 is planted with Premium Slim Miyota 9015 caliber and its waterproofness is tested at 5 ATM. 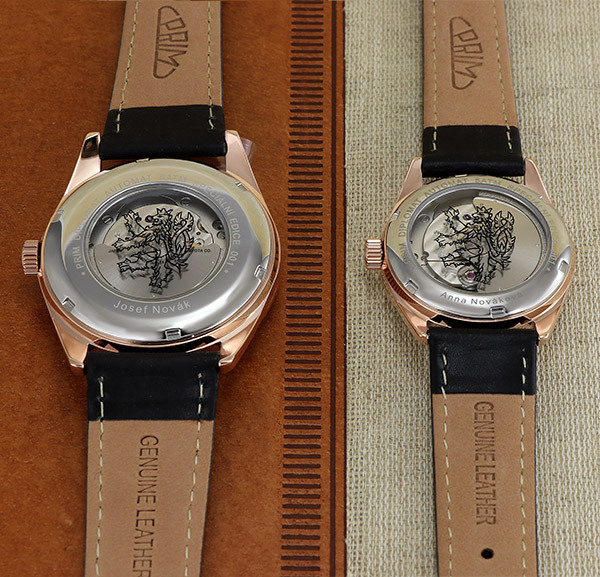 The sealing of the watches is ensured by stainless lid with a description of the edition on it, serial number and an aperture with an original symbol of lion. Watches are supplied with a strap of bovine leather and a clip in a colour of the case with PRIM logo. 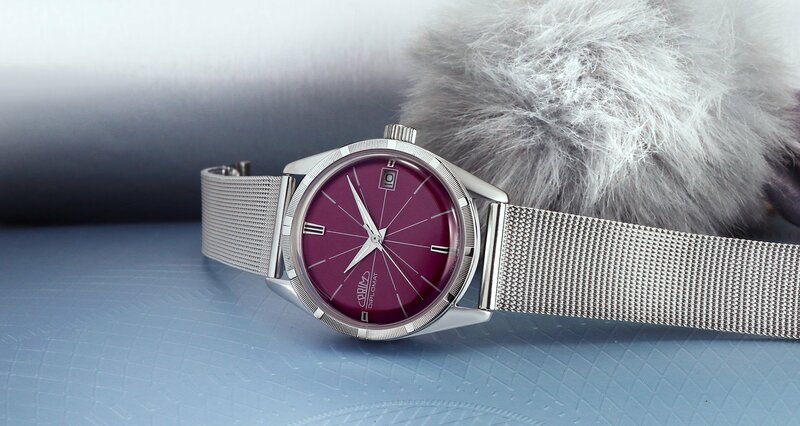 Women’s model is offered in 5 different colourful design with the choice of new modern shades, that will definitely mesmerise every woman. 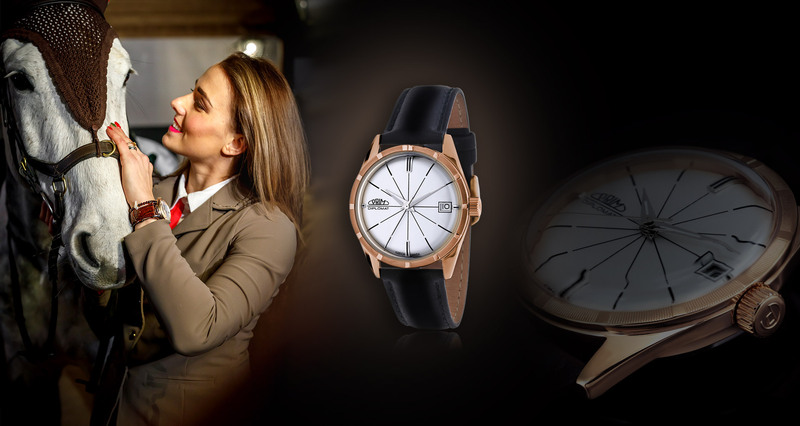 The circumference of the case of the watch, which is made of stainless steel 316L, is in the women’s models 34 mm. The primary element is the original dial in an elegant varnished design with innovative “spider-web” motif created by the graphic studio MPM. 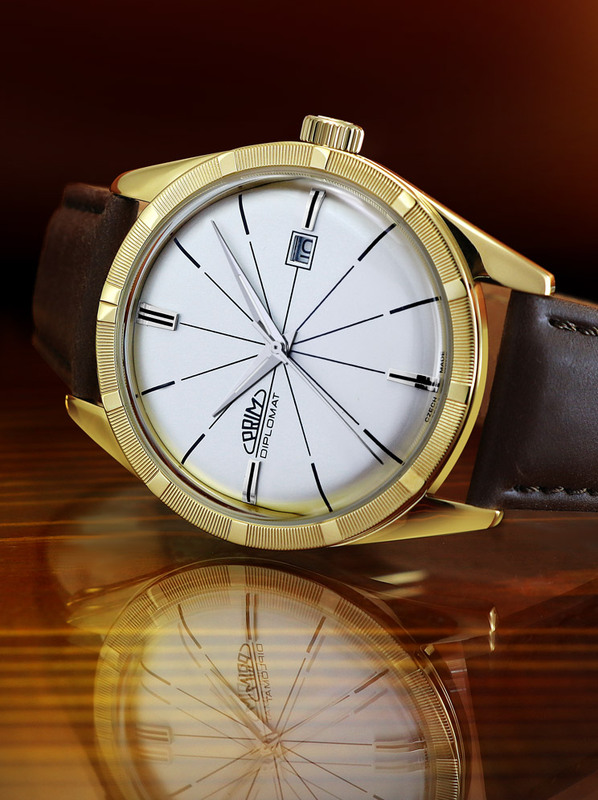 One of the new elements are protrusive indexes on the 3rd, 6th, 9th and 12th positions and also newly designed hands with luminescent layer. 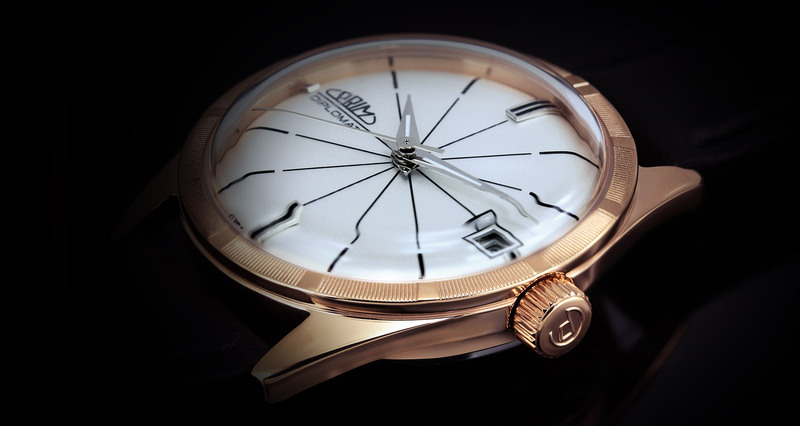 The shape of the raised glass has remained, however, the actual glass is made of a hardened resistant mineral. 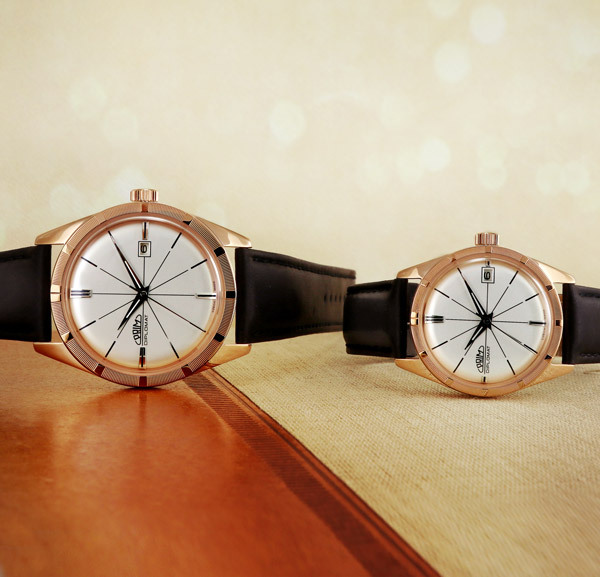 The watches have of course a moulted crown supplemented by the original symbol of the brand PRIM – letter P, which is connected by a circular arc representing the flow of time. Model PRIM Diplomat 2019 is planted with Premium Slim Miyota 9015 caliber and its waterproofness is tested at 5 ATM. 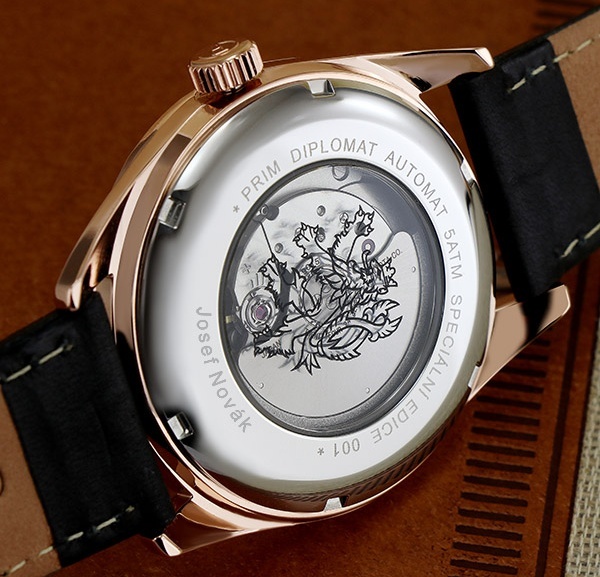 The sealing of the watches is ensured by stainless lid with a description of the edition on it, serial number and an aperture with an original symbol of lion. Watches are supplied with either a strap of bovine leather or a delicate milanese bracelet. 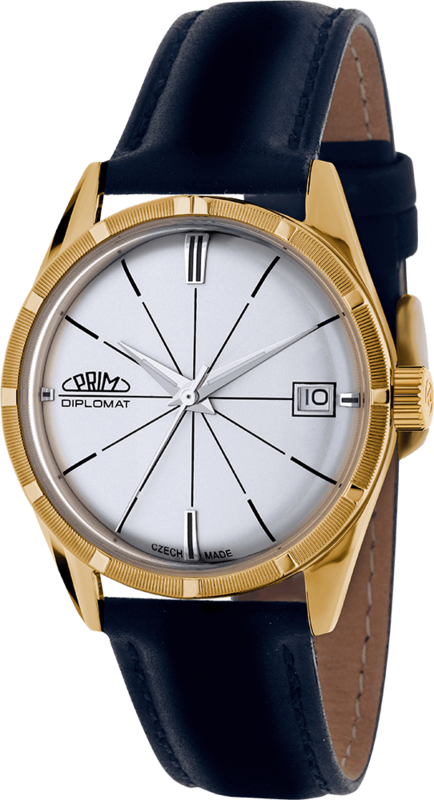 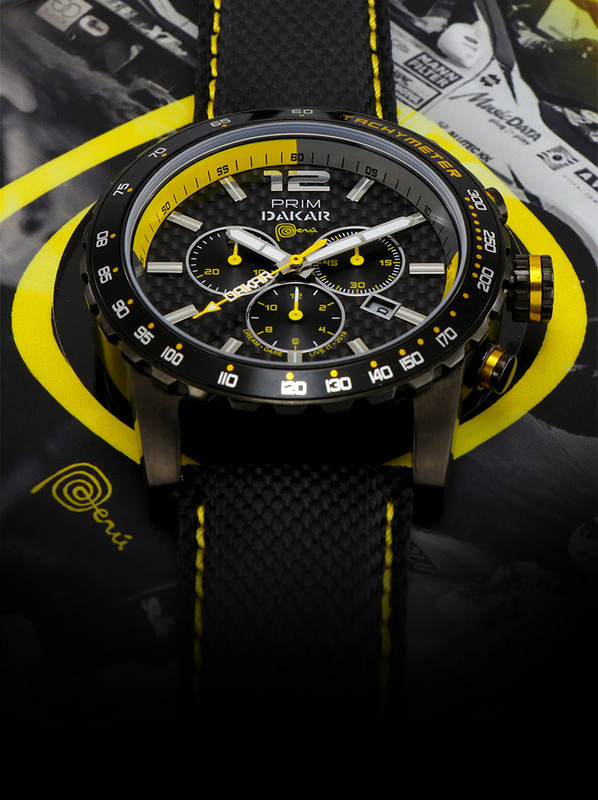 “For buying this special edition PRIM Diplomat 2019, each piece of the watches will be individualised by the owner’s name.